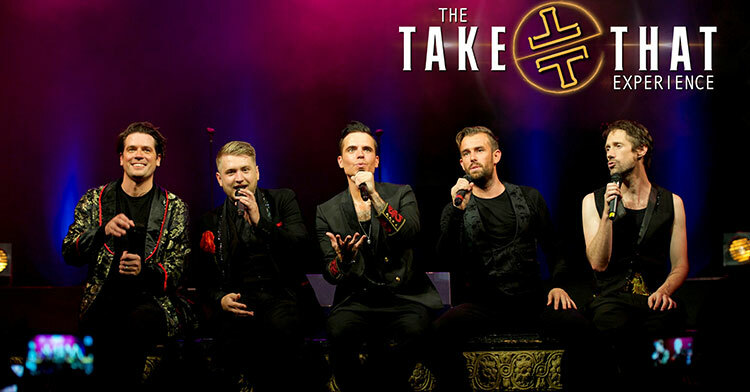 As Take That celebrate 25 years as one of the UK’s top bands The Take That Experience mark a decade together as the ultimate tribute act with their best show yet ! Wowing audiences everywhere they go with their amazing vocals, stunning costumes and electrifying dance routines they recreate the magic of Take That bringing you all the smash hits including Pray, Relight My Fire, Patience, Shine and These Days. The boys don’t just give you a night you’ll 'never forget' - they give you the Take That experience!